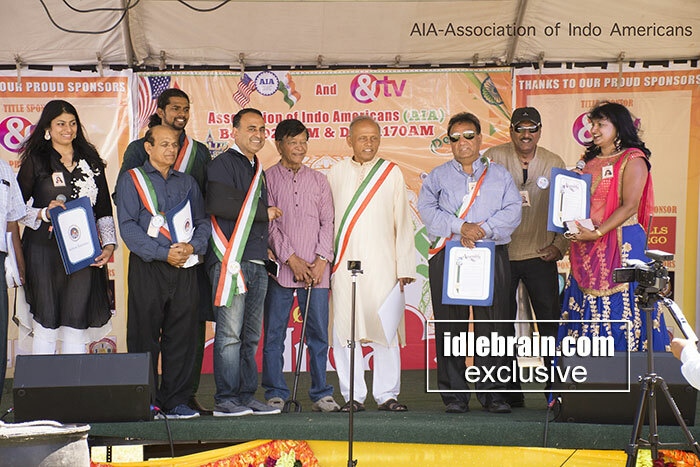 Association of Indo American’s (AIA), Bolly 92.3 & Desi 1170 AM presented “Swades”, to celebrate India’s Independence Day. 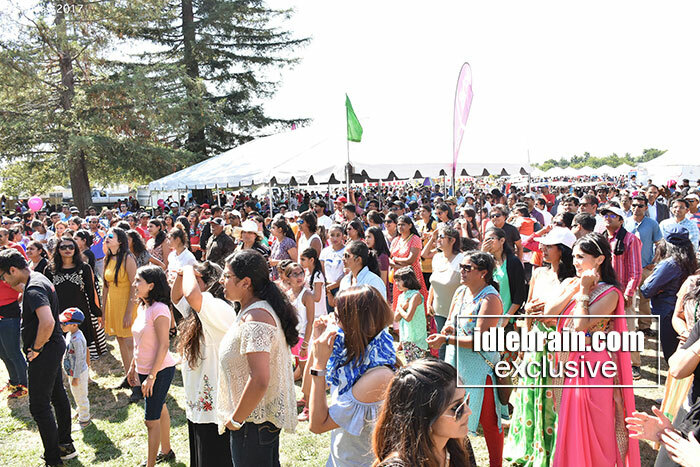 It is a unique outdoor festival, first of its kind and is supported by over 30 Indian organizations in Bay Area. Last year Swades was refreshingly endearing, visually stunning, totally engaging, and entertaining with pure patriotism all around. The event started at 11AM and went all the way till 8PM. It had great response with over 25,000 attended this mega event. The Title sponsor for the event was “&TV”, presented by Sanjiv Gupta CPA, Powered by Realtor Manu Changotra, Grand Sponsor was WellsFargo, Gold Sponsor was Classic Diamonds, Silver sponsors include Reobee, Curry Pizza and other sponsors include State bank of India CA, 24 Mantra, Munshi ji 24*7 & Swadesh Indian Bazaar. There were live Characters - Chhota Bheem, Chutki, Bahubali, Bala krishna, Spiderman, Capt America & many more. Several carnival games, slides for kids. Water Balls, Tea Cup ride, Rock wall, Bungee Jumping and Shaktiman rides are very popular with kids & are instant hit. And 2 trains went all over the mela ground. One of the key mottos of Swades is to showcase and propagate Indian Culture, diversity, unity, and Art forms. Kuchipudi, Bharatanatyam, Kathak, Bhangra & Classical dances (by kids and adults), Foot tapping Bollywood dances entertained the audience throughly. Desi Food Festival brought various delicacies with unique presentation under one roof. From Chaat, Biryani’s, Dosa, Vada, Jilebee, Pakoda’s , Dolka, Pav Bhaji, Chana Batura, Sugar cane juice, Ice cream etc What’s a desi mela without shopping and Swades provided ample opportunities for the same. Over 50 vendors displayed their booths spanning clothing, jewelry, dentist, mehendi, real estate, after schools, IT training & health services. One unique feature at this mela, is the special sporting event, involving over a couple of hundred enthusiastic participants of all ages from 5 years to 60 years, with 100, 200, 400 and 800 meter running races with fun picnic games like lemon and spoon, three legged race and sack races. 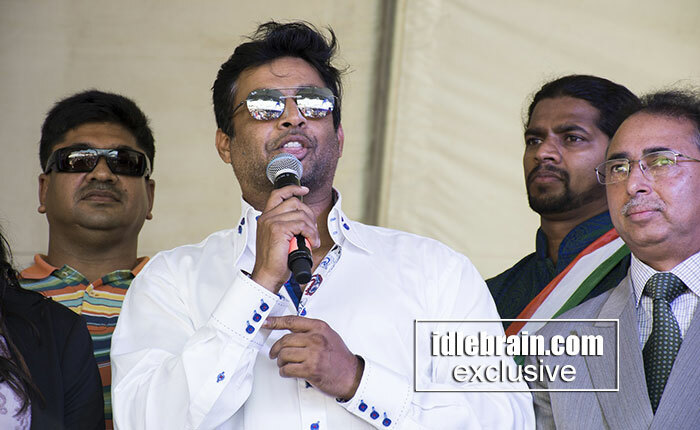 Popular actor & Indian super star R. Madhavan was the special guest for the event & the crowd went berserk seeing their favorite star. This amazing festival featured grand parade led by Madhavan, Pradip Yadav ( Head of Chancery, India Consulate), Assemblymember Ash Kalra, Assembly Member Kansen Chu, Pradeep Gupta (Mayor of South San Francisco), Savita Vaidhyanathan (Mayor of Cupertino), Lily Mei (Mayor of Fremont), Kirsten Keith (Mayor of Menlo Park), Fiona Ma (Member of Board of Equalization), Andrae Wara-Macapinlac (Office of State Senator Bob Wieckowski), Nandini Narayan (Office of Congressman Ro Khanna), Edward Mora, Office of Congressman Eric Swalwell, Jose Esteves (Ex-Mayor of Milpitas), Aditi Shakkarwar (Office of Assemblymember Evan Low), Community Leader Dr. Harmesh Kumar, Sister Kusum (Brahma Kumaris), and many other leaders. 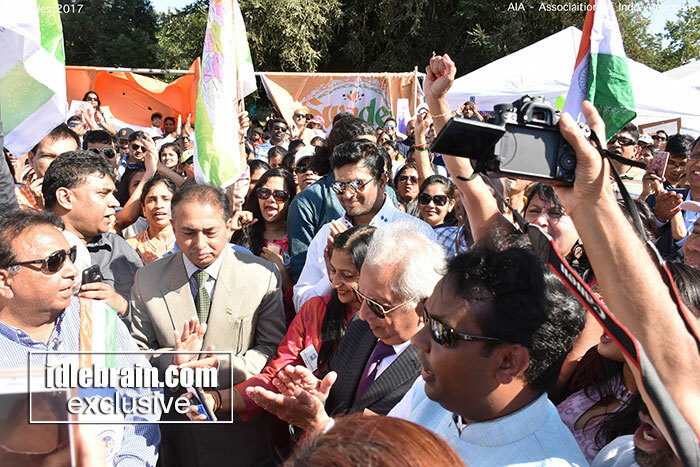 Indian and American flags were hoisted amid cheers and applause from a large gathering of passionate Indo-Americans. Swades – the sheer name transforms us into true patriots. The organizers were very happy to see the response and thanked all the sponsors, organizers, volunteers and bay area Indian community in making it a roaring success. AIA team as promised last year, are back with MUCH BIGGER & BETTER festival.